On June 3rd, Matt Harmon of Grand Rapids, Mich., became one of only 20 players—the lowest number in decades—to have survived 18 holes of local qualifying and then 36 holes of sectional qualifying to make it into the U.S. Open this week at Merion Golf Club. He’s the first Grand Rapids native to play in the Open since Andy Matthews did it in 2007 at Oakmont. Harmon played the mini-tours for several years following a distinguished college career at Michigan State University, where he was the Big Ten Conference Player of the Year in 2007. 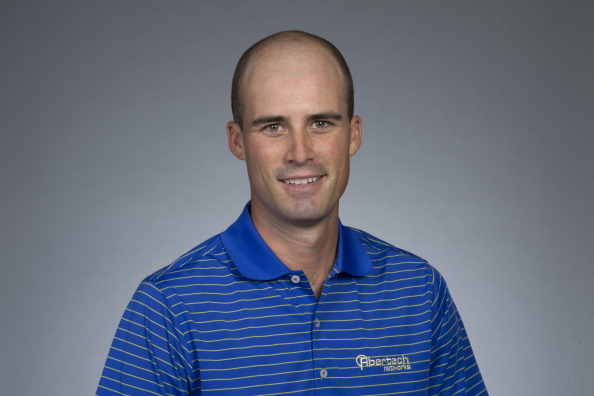 The leading money winner on the Hooters Tour in 2012, Harmon, 28, earned conditional status this year on the Web.com Tour, where he had two top-10 finishes in 2012. Following a practice round on Tuesday at a soggy Merion GC outside Philadelphia, Harmon spoke by phone with me and shared these thoughts and impressions. Congratulations on qualifying for the U.S. Open. Talk about making it into our national championship. Yes, I never played before in the U.S. Open or in fact any major. I’ve played on the mini-tours and the Web.com Tour. I also played in three Buick Opens which prior to this Open were my biggest events. In trying to qualify in other years, I only made it from local to sectional qualifying once, in 2011. That year I went to a site that only had two spots. I didn’t do well in my second 18 and fell way short. It’s a huge thrill to be here. Tell us about your play this year at the sectional. I went to Woodmont CC in Rockville, MD, where there were eight spots at stake. They have two courses, one tough and one more member-friendly. I really had a good mindset on that day. I played the tougher of the two courses in the morning and probably had my best ball-striking round ever. I hit every green in regulation and two of the par-fives in two. But I putted poorly and shot an easy 70, two under. Then in the afternoon I shot 65, four-under par, and earned my spot. Randy Hutchinson, who also played at MSU, was medalist there. When did you arrive at Merion and where are you staying? I arrived on Sunday morning and registered at Merion around 2 pm. I played the first 10 holes on Sunday which was a nice day and not very wet considering the course was closed the day before. The course drains well. As the crow flies, our hotel is only about six miles from the course but in traffic it’s a 15 to 35 minute drive. It was reserved for players by the USGA. With whom have you played practice rounds so far? On Sunday, it was just my caddie (Mike Mollet) and me. We wanted to spend some time just figuring out the course. Then on Monday, I played with Michael Thompson, a longtime buddy, who was runner-up in the Open at Olympic Club last year. Tour vet John Senden also joined us. Then today (Tuesday) I played again with Thompson and Robert Garrigus. What advice did they impart to you about playing in your first Open? They were all very helpful. Senden compared competing in the Open to the tortoise versus the hare story. Stay slow and steady and don’t get freaked out by a bad shot. If you hit into the rough, just wedge back out into the fairway and find the green with the next shot. What do you think of Merion? Well, they’re saying it’s short but it’s not. The long holes are incredibly long and the par-threes are very tough. There’s graduated rough on some holes and on others it’s deep right off the second cut. And in many places the fescue is of the lose-your-ball variety. Today, my caddie and I started talking about what type of shots to hit out of the rough—how to safely advance the ball and not get greedy. And the greens will be unbelievably fast and quick. Have you thought about what you might score? I’ve been hearing because of the softer conditions some players are expecting lower scores. But the USGA knows how to make it play tough in spite of the conditions. Honestly, I’m not overly concerned about a target score. I’m focusing now on how to play the course. Does Merion remind of any Michigan course? Funny you ask because yesterday on the putting green I felt at times I was at Walnut Hills CC in East Lansing. They’re completely different but in some places on the course and in the grasses, Walnut Hills actually came to mind. How did you and Michael Thompson become such good friends? We became friends when we played as young teenagers at the Westfield Junior PGA tournament in Ohio. At that time, the tournament housed the players in a barracks of sort, so it was almost like a summer camp experience. Later in college we would occasionally see each other. Then we got together again when Thompson joined me and some other Spartan players out on the Hooters Tour. We all hung out together. Last summer—two weeks after his great week at the US Open—he attended my wedding. He’s a great guy and my wife (Pagiel) and I really enjoy being with Michael and his wife. We’ll have dinner with them tomorrow night since we both have late tee-times on Thursday. I tee off on no. 11 at 2:46 pm while Michael tees off at 1:29 pm. I’m playing with amateur Gavin Hall and professional Bio Kim. I’ve never played with either one of them before. It will be a memorable experience.